Dan Berkowitz directs the world premiere of Breathing Room by playwright/composer Mary Lou Newmark, opening Saturday, October 3rd at the Greenway Court Theatre. Music, theater, and science converge in Newmark’s newest performance piece. 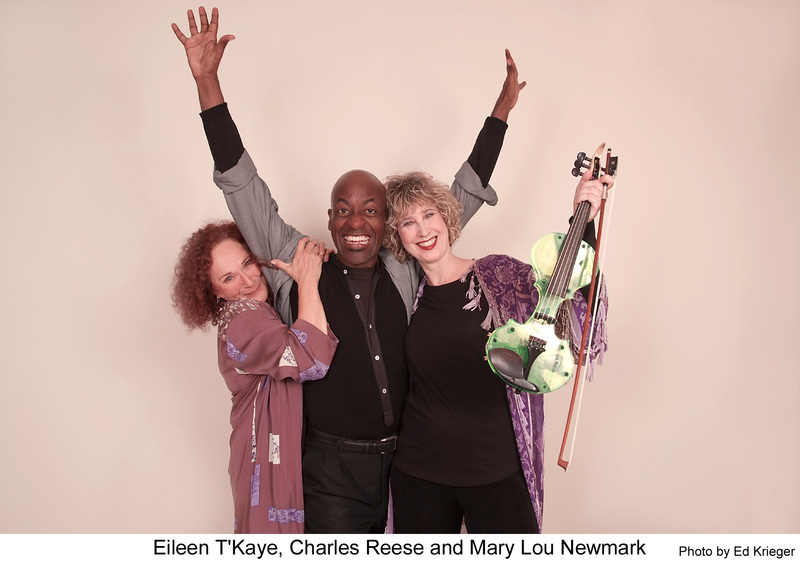 A science teacher with a mysterious past (played by Charles Reese) and a visual artist overwhelmed by life (played by Eileen T’Kaye) explore our modern culture of “technological vertigo” in a series of playful and intriguing scenes infused with music — played live at every performance by Newmark on her trademark neon-green electric violin. An electric violinist, composer and poet, Newmark creates non-traditional compositions that bridge the gap between current trends in electronic music and the virtuosic violin techniques of the past. Her work incorporates live performance, original poetry, and electronically generated sounds to create unique pieces that inhabit their own sound worlds. Like Newmark’s other works, Breathing Room is about transformation and connection. After a preview performance on Friday, October 2nd, performances of Breathing Room take place on Saturdays at 2 p.m. and 8 p.m., and on Sundays at 7 p.m., Oct. 3 through Oct. 25. Tickets are $25 for general admission, with reserved seats available for $35. The Greenway Court Theatre is located at 544 N. Fairfax Ave., Los Angeles, CA 90036. For more information and to purchase tickets, go to greenwaycourttheatre.org/breathing-room/ Tickets can also be purchased by calling 323-655-7679 x100.